Café de Flore is one of the oldest and the most prestigious coffeehouses in Paris. Located at the corner of Boulevard Saint-Germain and Rue Saint-Benoît, in Saint-Germain-des-Prés in the 6th arrondissement, it is celebrated for its famous clientele 1). The café was opened in the 1880s, during the French Third Republic. The name is taken from a sculpture of Flora, the goddess of flowers and the season of spring in Roman mythology, located on the opposite side of the boulevard. Authors Joris-Karl Huysmans and Remy de Gourmont were two of the first well-known regulars. In the late 19th century, Charles Maurras wrote his book Au signe de Flore on the café's first floor, where in 1899 the Revue d'Action Française was also founded 2). 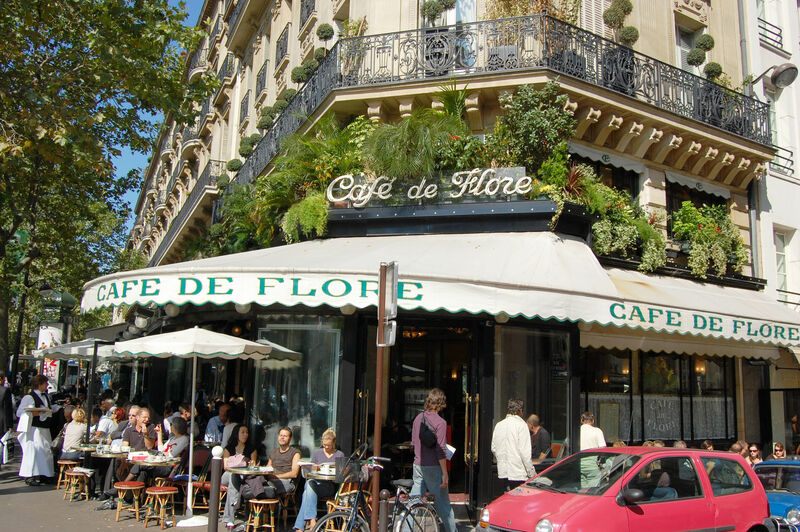 Café de Flore became a popular hub of famous writers and philosophers 3). 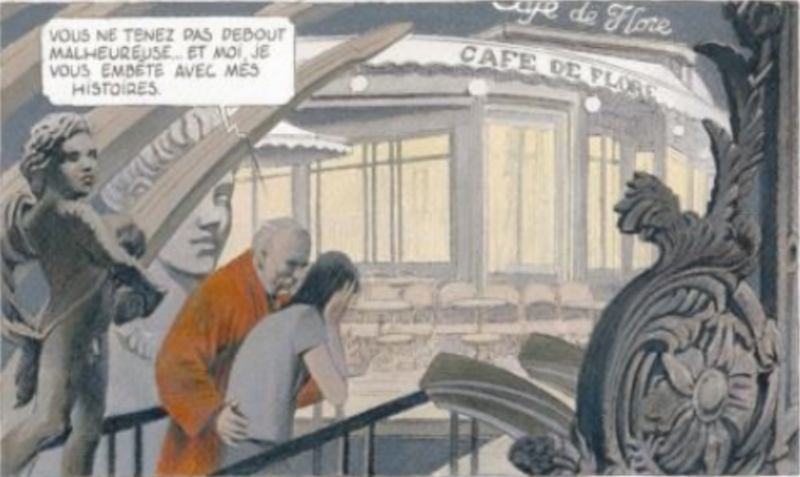 Café de Flore also featured in the second album of Revoir Paris.